Here's a photo of a sampler I've made as a Christmas present for a friend who is in her eighties. Her mother embroidered the RL sampler which was the inspiration for it. 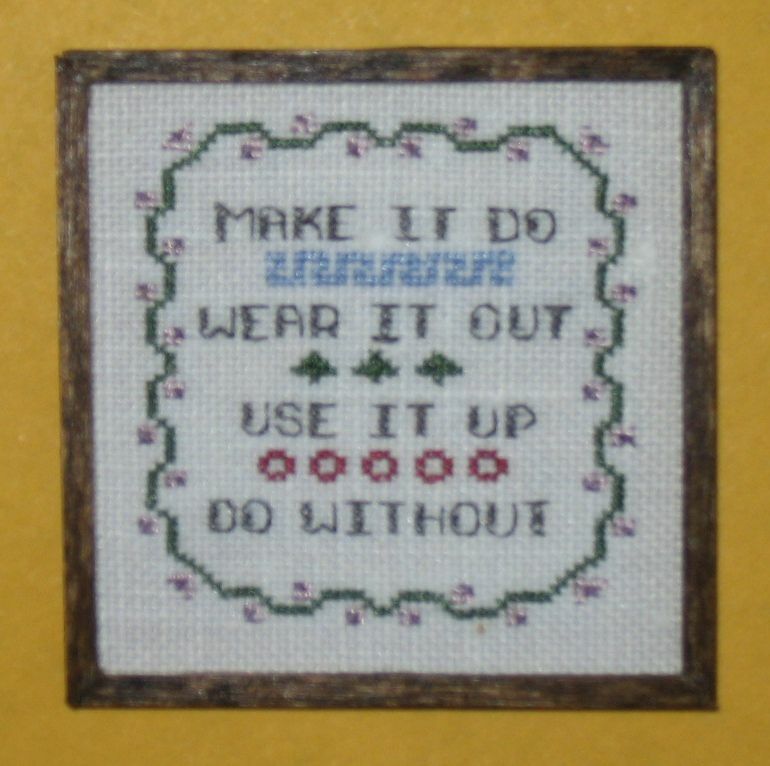 The usual wording is "Use it up, Wear it out, Make it do, Or do without," but I wanted to use the wording on the original. It's Pipers silk on 50 count evenweave linen, about 1 3/8" square.